I only listed two books that were published in 2012. The rest are from assorted years. This list is comprised of books I loved best, read by me for the first time this year whether new or old. Somehow I only managed to read 50 books - the lowest amount ever. I blame life, re-reading, the blog and Pinterest. I did a lot of dithering this year. Ha. I hope to do better in 2013 - really. And now in no particular order, The Top Ten. Please note I've added links to my reviews just in case you're so inclined. I've read and enjoyed all of Paula Marantz Cohen's books, but this one tops anything she's done before. For one thing, WHAT ALICE KNEW has a more serious subject matter - the multiple murders by Jack the Ripper in Victorian England. Marantz Cohen brings ex-pat author Henry James, his brother William, sickly sister Alice and the London society they lived in to vivid life, then gets the three siblings improbably involved in the search for a mad killer. How the author makes all this viable and believable is no easy task - but somehow she does it. This is a brilliant tour de force - an over-used expression but definitely applicable here. The first of the incredible sea-faring adventures of Captain Jack Aubrey and his friend, naval surgeon Stephen Maturin, set during the Napoleonic Wars. I know next to nothing about sea battles and British ships of the line - except for what I've seen in movies, but I quickly picked up the jargon (more or less) and used my imagination for what I couldn't. 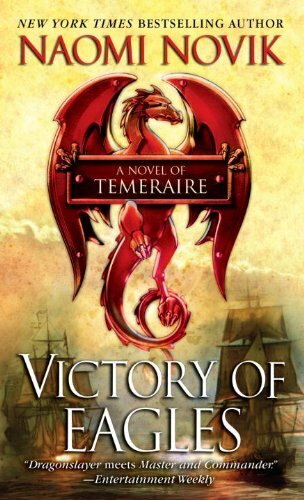 I urge anyone who loves fine writing, adventure, the sea, British history or just plain good story-telling to pick up this first book in the series. I mean to read them all. This book was the surprise of the year for me. It is the only mystery written by T.H. White before he gained fame as the author of THE ONCE AND FUTURE KING and other Arthurian novels. Set in Cambridge and at the great house called Pemberley (yes THAT house) in the 1930's, the story offers up a locked room mystery, murders and enough chicanery to warm the cockles of any mystery loving heart. This is one of those stories where you know the killer going in but somehow, it doesn't dampen the fun one bit. Don't miss this book if you have any liking at all for vintage mysteries with a touch of the melodramatic. A diamond with a violent history, stolen from the forehead of an Indian deity in Colonial India and bequeathed to a niece (our 'heroine') by a troublesome uncle, is at the heart of this story. The diamond then disappears from the young woman's room on the very night she's received it. This intricate tale is revealed in all its devious detail in letters - the so-called 'testimony' of several characters, some less important than others, all having their own points of view to add. The technique works beautifully. We can thank Collins for creating the first British detective story and introducing us to the detective as brilliant eccentric - the sort of thing we're all very familiar with now. Certain sinister characters from Charles Dickens' BLEAK HOUSE are brought to life again in Lynn Shepherd's extraordinary adaptation. Here is the dank, dark, murderous underbelly of London exposed in raw detail as an ex-policeman turned private inquiry agent is hired to find a certain man who poses a threat to the well-being of a wealthy and very sinister client. All is not as it appears in this complicated intelligent feast of a book whose grim story is revealed from several angles including the pages of a heartbreaking journal. It's about time that the thirty-ish Duke of Alford begin searching for his future Duchess. Any one of several society types will do, the Duke isn't too picky. But lo and behold his mama has different ideas. So the Duke goes off to the countryside to look over a girl who might suit - at his mama's behest. But what if the young lady balks? What if she doesn't want to be a Duchess? What if she'd rather write novels? What follows next is a wonderful comedy of errors (upending Regency posturing and manners) mostly set in a tavern where the young lady and a pal with a broken leg have taken refuge. Often hilarious and always beguiling, all I can say is, I loved this book with a passion. I could have easily listed all the Heyers I read this year - I meant to read more and will do so in 2013 - but kept it to this one. Gotta' give other books a chance. The first in prolific author M.M. 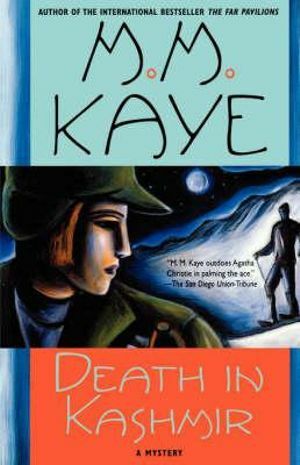 Kaye's 'Death In...' series and one of the best. Somehow I'd overlooked this one even though I am a big fan of Kaye. When a young woman's skiing holiday is upset by the death of a fellow skier who may or may not have been a spy, it isn't long before she is deeply involved in the hunt for a murderous master spy who will stop at nothing to keep his identity from being revealed. Set high above the Vail of Kashmir and later on the shores of an idyllic lake where our heroine has gone to stay on a houseboat, this is another fine example of Kaye's mastery of craft and atmosphere. A thrilling tale with a bit of romance added to the mix. I take note that this is the only 'contemporary' novel on the list. Oh well, it happens that way sometimes. I suppose 2012 was my year for history. I never know what I'm going to be in the mood for until I'm in the mood for it. 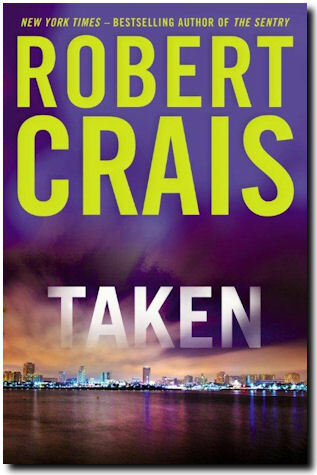 The strength of Robert Crais' Elvis Cole and Joe Pike books lies in the creation of two honorable men whose deep friendship holds everything together, especially when the bullets start flying - which is often. Set in modern day L.A., this is definitely a series that should be read from the beginning, but hey, fine writing is fine writing - if you're not a stickler, begin where you will. This time out, the disappearance of a young woman places private eye Elvis in possibly the greatest danger of his life and it's up to Joe Pike to do what he does best. I've included a link to R.C. 's website so you can play catch-up. Oooh, ooh, ooh, I wait all year for your pronouncement of the best of the year. I cannot wait to try to read some of these in the coming months. I have been sprung free of college and I plan to read so much more this year! Thanks for getting me started on my way. Yay!!! Adore these end-of-year summaries of the best reads! I do have a few of these on my shelf.....hoping to get to them sooner or later. Happy New Year to you and your family, Yvette! I loved What Alice Knew! It was one of my top reads of 2010. I loved the personality she gave Henry James. He was really funny! Yvette, I love, love, love your book reviews and always find something of interest (in your year-end list, it's Darkness at Pemberley). Happy New Year! The only one I've read on your list was The Moonstone, and I loved it. I do want to read a few others though. My list should be publishing in the next 15 minutes. These lists are always so hard to do. 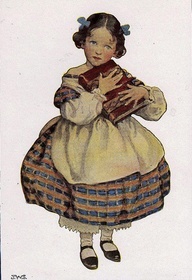 I liked What Alice Knew, too, and I was inspired to read it at this blog. I gave a friend Instruments of Darkness and then the second book in that series. She loved them. I must get her some of the others on your list, and I should try several of them myself. 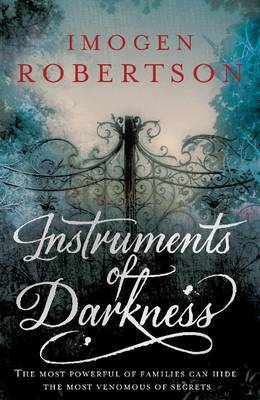 I'm going to have to try to find Darkness at Pemberley - sounds extremely good. And I'm so glad you enjoyed The Moonstone, which is a really fine book. Interesting list, opening too many possibilities! Thanks, Yvette. I hope you'll find something good to read. Part of the fun of reading, I think, is sharing the good stuff with others. Bev, I wonder what you'll think of Darkness at Pemberley - I loved it. (Well, you knew that.) Let us know when you get a chance. I loved that book, too, Tasha. I think I'm going to re-read it one of these days. James comes off as kind of stodgy and curmudgeonly but sweet. I wonder if in real life he was as likable? Thanks, Rick. Happy New Year to you and your family as well. Darkness at Pemberley is SO MUCH FUN. You'll understand my keenness once you read it. Thanks, Kathy. I'm glad your friend enjoyed the Imogen Robertson books. I love them, as you know. You're welcome, Les. It's hard sometimes to strike a balance between new and vintage. Some years it tips one way, another year, the other. You know how it is. All I can say is that I never finish reading anything I don't like. So actually I did enjoy all the books I finished this year. 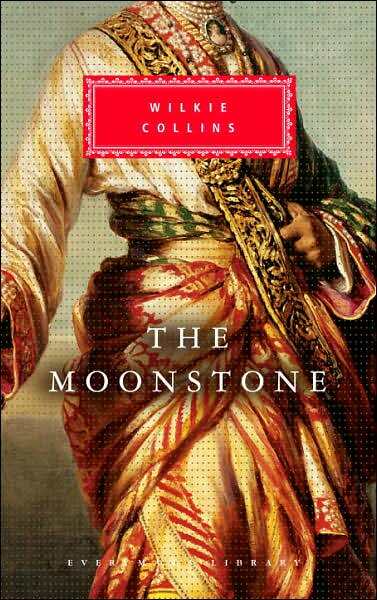 Yvette, the two authors from your list I intend reading in 2013 are Wilkie Collins and Georgette Heyer and I'm embarrassed to say that I still haven't read MOONSTONE, just the comic-book. 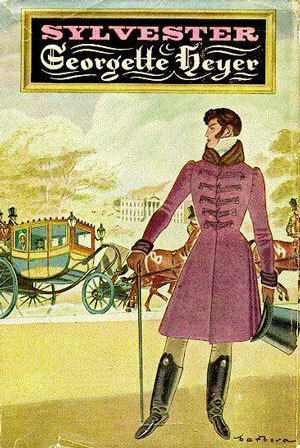 I'm particularly keen to read Heyer's Victorian humour — I believe she is really good. I have read only one of these. Better get cracking.